I knew I would eventually write about this but didn’t know when or how. To be quite honest, I felt ashamed. I also felt fear. How will people react? Will I be judged? How will it change people’s perspective of me? Will it damage my credibility? Weaken my message? Those who are closest to me, my family and friends already know. They walked me through it several years ago. For them, it is such a rearview mirror event. But my clients don’t know. Neither do you, followers of my blog. Why? Because I wasn’t ready to talk about it yet. But I am now. It may not seem like a big deal to many because it is so common. Yet for me, it was a mess. So here it is. Several years ago I experienced divorce. Out of respect to the privacy of my children and former spouse, I will end the story here. Needless to say, it was the messiest event in my life. At the time, I was in a different career. 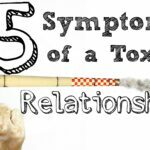 I had no idea I would end up in a profession helping couples develop healthy relationships. Looking back I can see how walking through my mess gave me a message. For the past 25 years I’ve known a great man named Charlie. He is my personal counselor. Charlie walked with me through my mess to find messages I needed to hear and learn. I treasure this relationship. One day in 1999, I came in for a session and said, “Charlie, I think God is leading me into the counseling profession.” I was stunned by his response. “I have been waiting to have this conversation”, he said. His affirmation was gold. I cried. From that point there was no looking back. I went back to school, graduated in 2005 and here I am. Life is messy. Accept it. Deal with it, and learn from it. In my profession, I help clients going through divorce. On occasion I reference the fact I’ve been through it. Until now, I did not write about it. Going forward I will. 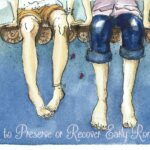 If you experienced divorce or a major breakup of a relationship, I understand your pain. It is awful. In some cases, it is unimaginable pain. I know mine was. My message to you is that you can work through the mess and find something meaningful on the other side. You have to do the hard work of looking at yourself. It is important to learn what you did to contribute to the failure of the marriage, no matter how insignificant you think it may be compared to what you experienced. Is there life after divorce? Yes! The key is you have to work on yourself first. When I felt ready, I eventually met a woman and fell in love. Marian and I have been married for 14 years. We invest in this relationship heavily. Is it messy? Of course! But we work to limit the mess and manage it together. Which leads me to one final message from my mess. Limit the mess by working on yourself. Deal with the problems you bring to the relationship. Do you struggle with anger? Intimacy? Addiction? Perfectionism? Get some help. If you don’t, your personal life and marriage will get messier! If you want to get started or kickstart working on yourself, I recommend you get a copy of my free offer, The Guide to Remarkable Relationships: 5 Steps to Become a Healthier, Happier, and More Present Partner. It is free to all new subscribers to my blog. Fill out the form on this page. The most important message I can give you is to invest in your marriage. Make it a line item in your budget and a priority on your calendar. Invest in your marriage. Make it a line item in your budget and a priority in your calendar. 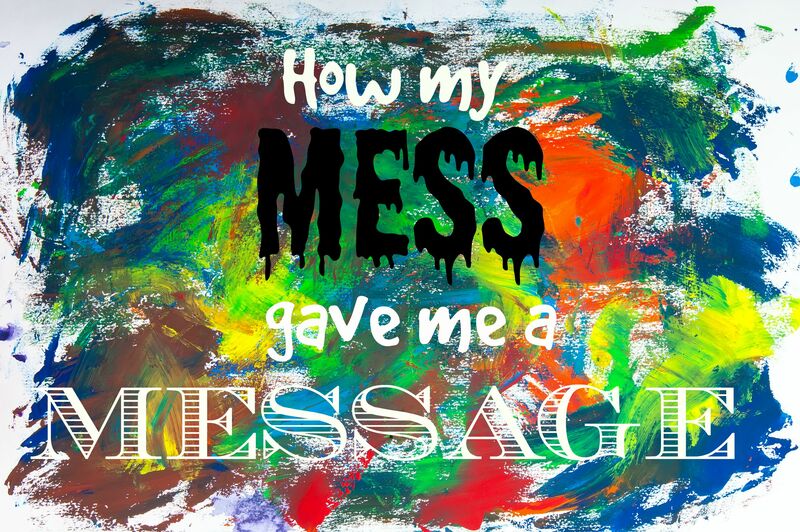 Have you found a message in your mess? Did you become better or bitter? I hope you became better. If you have a message to inspire our readers feel free to leave a comment below.